Worldwide, 50 million people are living with Alzheimer's and other dementias. 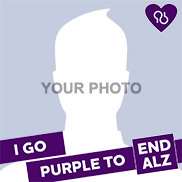 Join the Alzheimer's Association in going purple and raising awareness this June. The more people know about Alzheimer's, the more action we inspire. 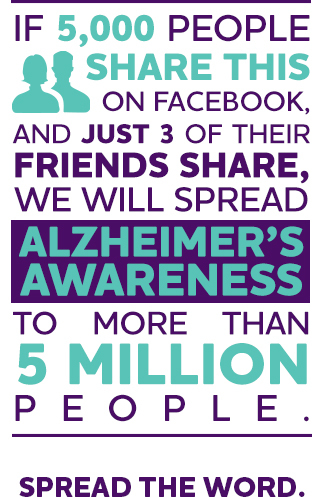 Commit to raising awareness for the 47 million people living with Alzheimer's and other dementias worldwide. Purple is the official color of the Alzheimer's movement. Change your profile picture to raise awareness. Use this hashtag to join the conversation. Make a slam dunk for the fight to #ENDALZ! Join WNBA's Candace Parker in going purple in June. Candace Parker makes a slam dunk for the fight to #ENDALZ! Actress Judy Greer wears scene-stealing purple to raise Alzheimer's awareness in June. Actress Judy Greer wears scene-stealing purple. Actor Peter Gallagher is ready for his purple close-up during Alzheimer's & Brain Awareness Month. Actor Peter Gallagher is ready for his purple close-up. Pro-football Hall of Famer Terrell Owens goes purple to raise Alzheimer's awareness. Join him! Pro-football Hall of Famer Terrell Owens goes purple! Purple inspires actress, designer & lifestyle guru Whitney Port in the fight to end Alzheimer's. Purple inspires actress, designer & lifestyle guru Whitney Port. Actress and singer Rita Wilson dazzles in purple while raising Alzheimer's awareness in honor of her mom. Actress and singer Rita Wilson dazzles in purple. With a smile that lights up any room, gold medalist Laurie Hernandez is powerful in purple in the fight to #ENDALZ. Olympian Laurie Hernandez knows purple is powerful. Longtime Alzheimer's Champion David Hyde Pierce continues the fight to #ENDALZ on behalf of his family. David Hyde Pierce fights to #ENDALZ. Is purple the new black? Actress Selenis Leyva rocks the hue in honor of all those facing Alzheimer's. Selenis Leyva is bold in her purple hue. This June, actress Amy Aquino honors her Aunt Rose and millions more people around the world fighting Alzheimer's. Amy Aquino honors her Aunt Rose. 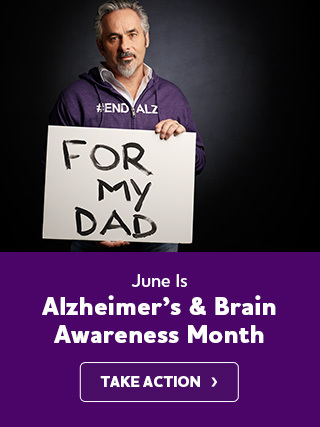 Actor Alfred Molina is passionate in purple and fighting to #ENDALZ in honor of his wife and grandmother. Alfred Molina shows his passion in purple. TV host and soap opera actor Cameron Mathison knows how to make heads turn in the fight to #ENDALZ. Cameron Mathison makes heads turn this June. A pinch of purple and a dash of determination. Chef & Chopped star Madison Cowan raises Alzheimer's awareness in honor of his father. Chef Madison Cowan raises awareness with a dash of purple. Red Oaks star Alexandra Socha is going purple and advocating to end Alzheimer's for her mom. 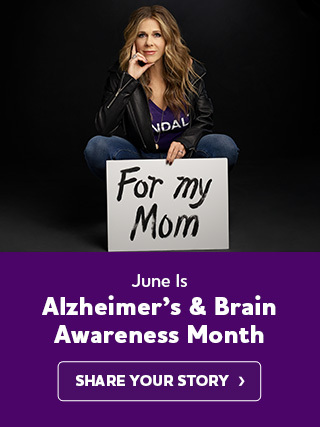 Alexandra Socha advocates to #ENDALZ for her mom. Comedian Daniel Franzese knows Alzheimer's is no joke. The Night Shift's Jill Flint prescribes going purple as a sure way to raise Alzheimer's awareness in June. The Night Shift's Jill Flint prescribes going purple this June. Brandon Coleman tackles Alzheimer's by going purple in honor of his grandmother and great-grandmother. Brandon Coleman tackles Alzheimer's for his family. 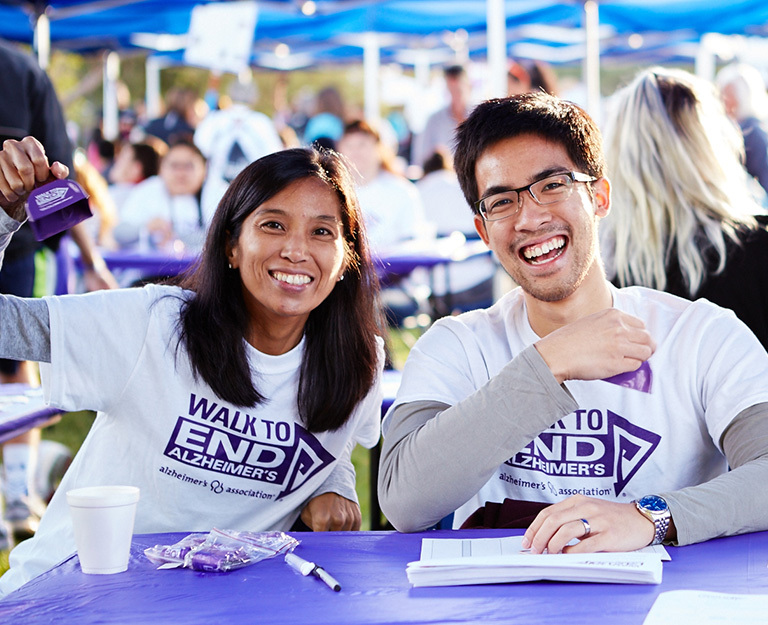 Pretty Little Liars star Janel Parrish isn't keeping her fight to #ENDALZ a secret. Janel Parrish isn't keeping her fight to #ENDALZ a secret. The cast of The Big Bang Theory joins together in the fight to End Alzheimer's! The Big Bang Theory cast gets together to #ENDALZ! Scandal star Katie Lowes takes on the Alzheimer's crisis by going purple to #ENDALZ. Katie Lowes takes on Alzheimer's in purple. Join Tony Hawk in taking action to reach new heights in Alzheimer's awareness. Tony Hawk is taking action to #ENDALZ! Purple is definitely her color! Nina Garcia rocks the hue in the fight to #ENDALZ. Purple is Nina Garcia's color. Access Hollywood's Liz Hernandez brings the fight to #ENDALZ to the limelight. Liz Hernandez is turning Hollywood purple. Musician Grace Potter hits a high note in purple. Join her today! Grace Potter hits a high note. Be part of our gallery by sharing a photo on Instagram or Twitter using the hashtags #ENDALZ or #EndAlzheimers. 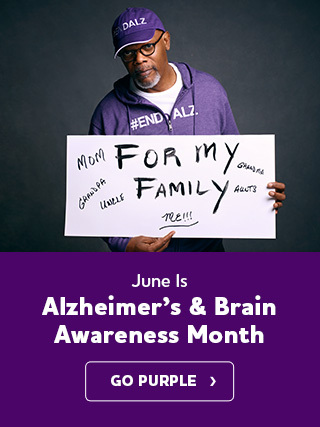 Follow us at @alzassociation to stay tuned in to all the ways you can take action in June. Get involved today - because your brain is worth saving! The Longest Day® is all about love. 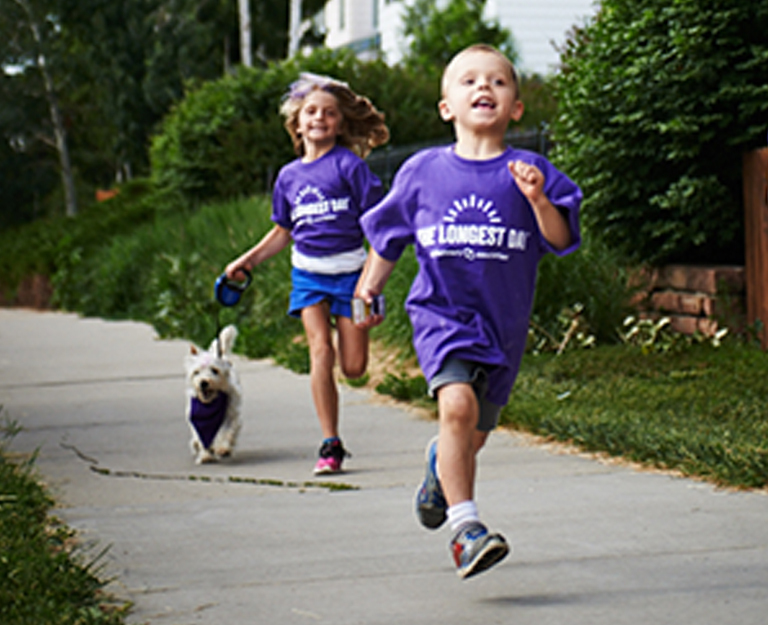 Be part of the global movement to help end Alzheimer's. 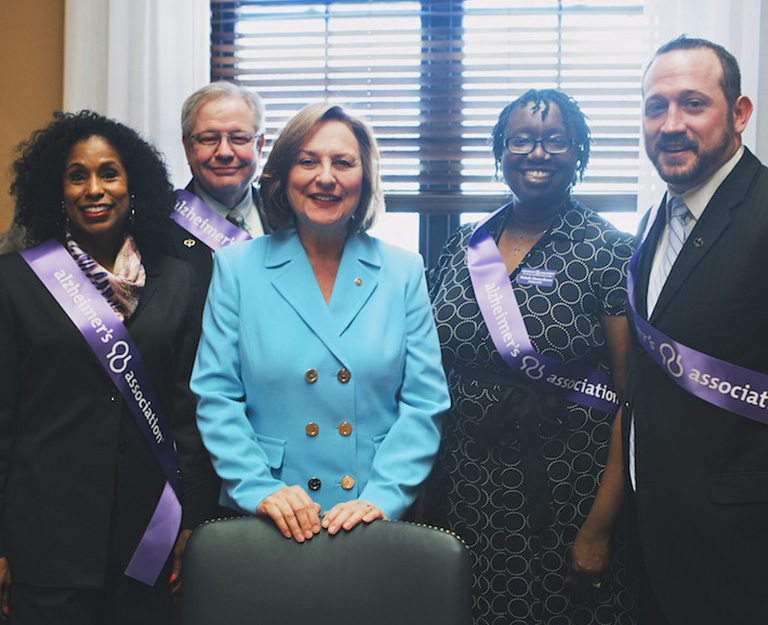 Make Alzheimer’s a national priority and create widespread awareness of this devastating disease.